Best Photographer in Florida! AMAZING! Rya is simply AMAZING! I can’t say enough positive and great things about not only her work but who she is as a person. As a soon to be new mom of my first child, my maternity photos and capturing those special moments were of the up most importance to me, and I was nervous about choosing the right photographer. From the first conversation I had with Rya she made me feel comfortable, encouraged and secure in the decision that she was the best in Jacksonville, FL and all of Florida for that matter. She goes the extra mile not only with her photos as displayed on her website, but with you as a person. Its the small things: such as touching base constantly, being so organized that you don’t have to worry or stress about a thing, and most importantly the kindness that she pours out to you as the client. I simply can’t say enough amazing things about her, her work my personal experience. I would HIGHLY recommend Rya to ANYONE! She is a world class person and photographer in my book. Rya Duncklee is a very talented photographer and I have been so pleased with her work. She finds the best lighting and candid shots. I don’t know how she does it. With my kids on the move, I am never sure if she was able to get a good shot. And yet she ends up providing me with such beautiful pictures!! She is so good that many of my friends ask for her contact info after seeing our family photos. You can’t go wrong with hiring her! Rya!! These are amazing!! And you even managed to get some decent pics with Randy and I in them! These are better than I imagined and I'm so happy you were able to photograph such a wonderful time in our life. Thank you!! Piper looks like such a little angel in these pictures. And the nursery looks magical! You captured it so nicely and I'll be so proud to have it on Pinterest. It is so fun to meet someone you have SO much in common with. Doesn't happen often enough for me, it really was great to see all of our commonalities. Thank you again for everything! What a nice pre-Mother's Day gift to receive! When I became a mother I was obsessed with capturing every detail of my sweet babies. The time flies by when they're little and I desperately wanted a way to freeze time and remember each moment. My solution came when I met Rya. Rya is the kind of person that you feel like you've known forever from the moment you meet her. She takes the time to get to know your family, your style and what you're looking to accomplish before your session. There isn't a single detail that she doesn't think of, all the way down to what you should wear. During your shoot she makes you feel so comfortable and couldn't be more patient with the little ones. After your session she makes selecting your images extremely easy and provides many high quality product options. Rya is there for you from start to finish in making your photography dreams a reality! We have worked with Rya multiple times and each time we walk away beyond happy. She is not only professional but such an easy person and happy person to work with. It can be awkward posing for the camera if your not use to it but Rya makes you feel comfortable and guides you along the way for a successful shoot! She has the best eye for that jaw-dropping pose and editing technique. We have always been blown away when we see our photos. It’s an investment that we look forward to every year and trust no one but Rya to capture those priceless moments. She is the best in the field!! Rya, We love this video so much!!! Really special!! We were not sure if all the chaos of kids and dogs would turn out and it did!! You really captured the vision I had for the shoot, thank you, it's just fantastic! Rya, I just wanted to say that you have done the pictures way above and beyond my expectations. You actually made me look good on pictures, lol, and Robin looks amazing. Just wanted to say thank you for traveling and getting this done for us. I am so pleased with how you captured me and Liam! Thank you so much! I was amazed at how much Liam was affected by the video. The smile he had watching it was amazing and he was actually emotionally moved by it. He said the reason he likes it so much is because of the things I said to him. Priceless, Rya! I hope to do more work with you in the future. Thank you from the bottom of my heart. HOLY COW THESE ARE AMAZING!!!!! Thank you thank you thank you!!! This is seriously the best group of photos of my family EVER! I can not wait to share them all!! Professional photos represent a big investment, so it’s important to me to work with a photographer who gets me and my family. I want a keepsake that’s better than my iPhone-quality pics and that really captures my children’s personalities. That’s exactly what I got from Rya Duncklee. After our first email correspondence and then a phone conversation, I knew that I would love Rya when I met her in person; she took the time to get to know me and to discuss my expectations. When she sent me an example of the approach she wanted to take with the kids, I immediately loved the idea of a lifestyle session, which would capture precious everyday moments, rather than featuring the kids dressed up and posed perfectly for pictures. She also sent me a fascinating “getting to know you questionnaire,” which asked seemingly unusual questions but actually helped Rya learn about each child and understand who we are as a family. After we had talked and Rya had reviewed my questionnaire, she sent me a mood board that showed her vision for the shoot. No other photography session I have ever experienced has included such a feature, and I loved seeing how she envisioned our upcoming session. The mood board beautifully reflected the thought, the care, and the passion she pours into the time she spends with her clients. Before our session, I told Rya that the beach near my parents’ house is a special place for both the kids and me. We enjoy playing in the tide pools and searching for sharks’ teeth; the time we spend there gives Britton a chance to nap on me in the carrier while Kingsley and I take long walks, enjoying our beautiful Northeast Florida coast. Not surprisingly, we decided that the beach would be the perfect place for Rya to photograph the kids while they enjoyed doing one of the things they love most. Early on the morning of our shoot, Rya spent time getting to know the kids while they had a little breakfast at my parents’ house. Since she already knew a lot about Kingsley and Britton from the questionnaire, that it made it easier for them to get used to her being around us, taking pictures. After we headed out to our shoot at our favorite spot on the beach, the kids just played as they normally would have on any other day, and they both had fun with the props Rya had brought. Although I anticipated some captivating candid shots, I was genuinely amazed by the proofs she sent me, and the video she had put together brought me to tears. That video proved to be the perfect keepsake for capturing my children’s personalities. As excited as I was about the pictures, the video took our session to another level. I love having both stills and a video of Kingsley and Britton, playing and being themselves–and it’s an easy way to share the session with friends and family. Do you ever have professional pictures done and then never do anything with them? Until I met Rya, I, too, had been guilty of doing exactly that! For your next family photo shoot, consider hiring Rya. As I discovered firsthand, her videography is a such a dynamic component of her work that you’ll never even be tempted to let it–or her enchanting photographs–sit, figuratively gathering dust, in your computer. Amazing photography experience! I’ve followed Rya on social media and always loved her gorgeous style and the way she captures families. I was so excited to finally work with her for a Mom and Me session. Working with Rya was so great. She was quick to communicate, created such a relaxed environment, had an amazing wardrobe for us to choose from, and had the patience to get great smiles from my two year old and four month old that I will treasure forever. The pictures were delivered very quickly and I couldn’t be happier with them! Everyone who has seen them has commented on how gorgeous they are. I’d highly recommend Rya Photos for anyone wanting an exceptional photography experience and will absolutely be working with Rya for future family sessions. Dear Rya, Thank you so very much for the flowers and the amazing photo shoot! I was so unsure at first, but you truly made it all worth while. Thank you for gifting us such amazing photos that we will no doubt cherish forever! You are a fantastic photographer and we hope to work with you again. Amazing maternity/newborn photographer! Rya was simply fantastic! I was in the hospital due to preterm labor at 29 weeks and thought I wasn’t going to be able to have maternity photos. When I made it to 35 weeks, my doctor said I could have a session as long as I wasn’t too tired. I called Rya, and she was able to work us in for the beautiful sunrise beach session I had pictured in my head. We were comfortable for our session (even my husband, who was reluctant for such an early morning shoot) and Rya made it easy and fun! We now have some incredible photos to display in our home, and can’t wait for her to capture our little guy when he gets here (hopefully very soon)!!! We appreciate you and your work so much. I can't believe I found you...just when I thought I wouldn't "need" a photographer. You are more than a photographer..a true artist! Can't wait until our next session in October! Wonderful Experience! We had a great experience working with Rya, and are thrilled with our beach photos! She was very interested in how we wanted the photos to look and feel. She was kind, energetic and made us relaxed as a family during our session. We look forward to more photos with Rya in our future. I am thrilled and beyond pleased with our experience working with Rya! She truly made the session more fun even though I typically am nervous about trying to get all 3 of my boys to look at the camera. She was able to capture both of my oldest boys personalities all while they were having a blast playing and just being themselves! This session truly meant so much for our family and I couldn’t be more blessed to have won such an incredible gift. These photos will be up in my halls and my home forever and always. She's so talented! We were fortunate to find Rya through a Google search a week before our first born was due in 2013. She not only made time for our newborn shoot on such short notice, but she came prepared with a great attitude, professionalism, and so much patience. Since then, she has been the only one to capture our growing family in multiples cities throughout Florida (e.g., Miami, St. Augustine, Boca Grande, Gainesville, Jacksonville, Palm Coast). Surprisingly, her videography has become our favorite part as it captures little personalities and voices for future reference. Rya constantly improves her skills through more training, and each year, her already impressive work improves exponentially. We are so grateful for her, and how she is always willing to go above and beyond what is expected. You will not regret working with her! My family had the pleasure of spending the afternoon with Rya while she captured my daughter so beautifully at her 5th birthday! Her skills are amazing! Not only can you tell that she loves her job, but she makes memories that last a lifetime with her work. She took the time to ask questions about us and was so down to earth that my daughter was SO comfortable with the session immediately. Our session felt more like an afternoon of fun! Our images were beautiful. 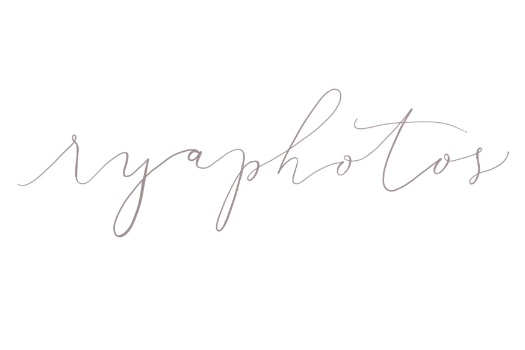 I would 100%.recommend Rya to anyone who wants stunning photos with natural light! Rya recently did a photo shoot for my family and I can’t say enough good things about her. Some people have an innate skill for capturing beautiful images and she is one of them. Her photos are not only visually striking, but manage to tell the story of the subject(s) in the images. It’s no wonder she’s won so many awards. I can not recommend her enough.